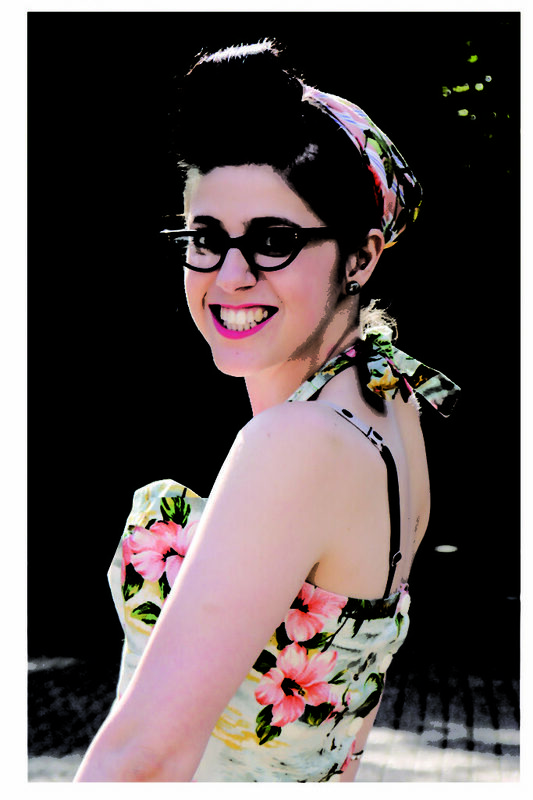 Today I thought I would share a tutorial that is going to bring a tear to every British crafters eye. 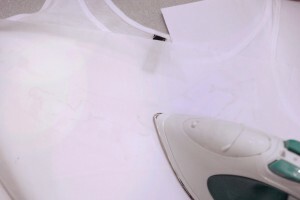 Unfortunately, for those of us living outside of America, we can’t buy freezer paper… and therefore have to either pay a fortune to buy it online or inevitably miss out in the awesomeness that is creating fabric templates out of the stuff. How can I make you happy? Show you how to make an amazing alternative! 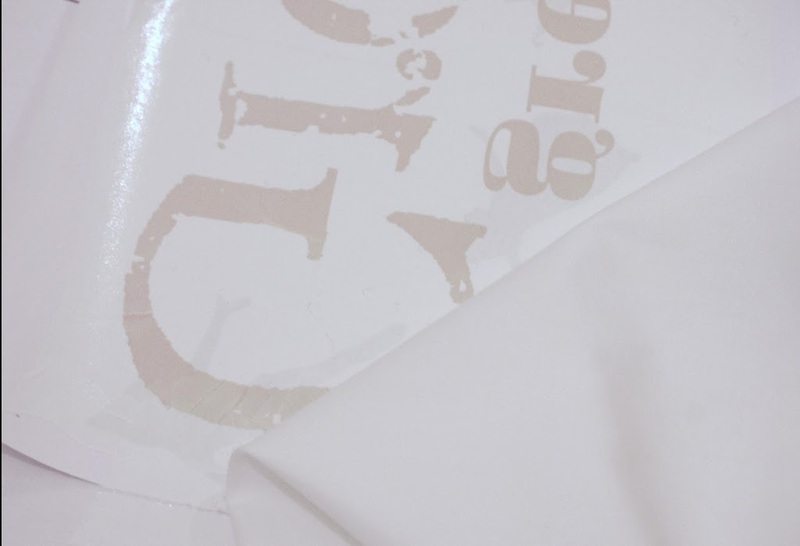 For those of us unsure of what ‘Freezer Paper’ is, it’s a lot like our greaseproof paper; it’s really waxy on one side (more than the greaseproof paper) and smooth on the other. It gets used for wrapping food… and putting it in the freezer. 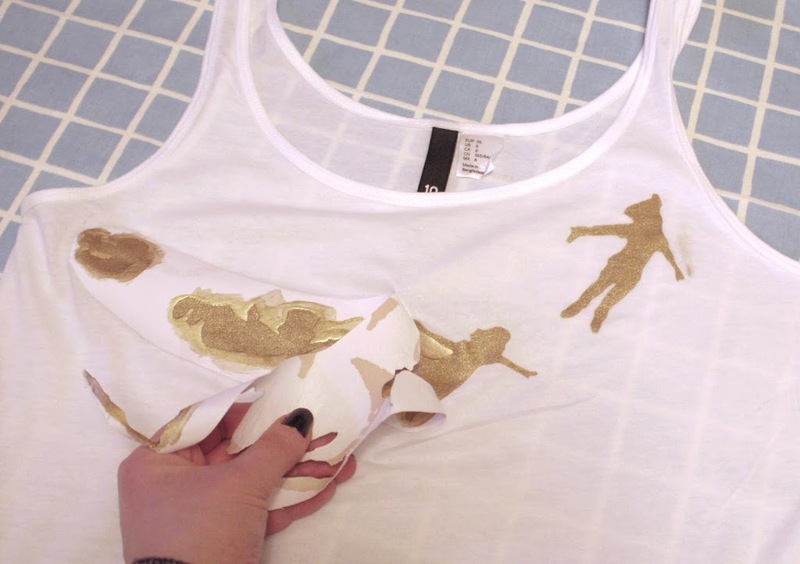 The project works as you can iron the freezer paper onto fabric as the waxy side melts and peel it off when you’re done – hence it’s amazing for using as a stencil. So, how can we make it without leaving home? Easy! 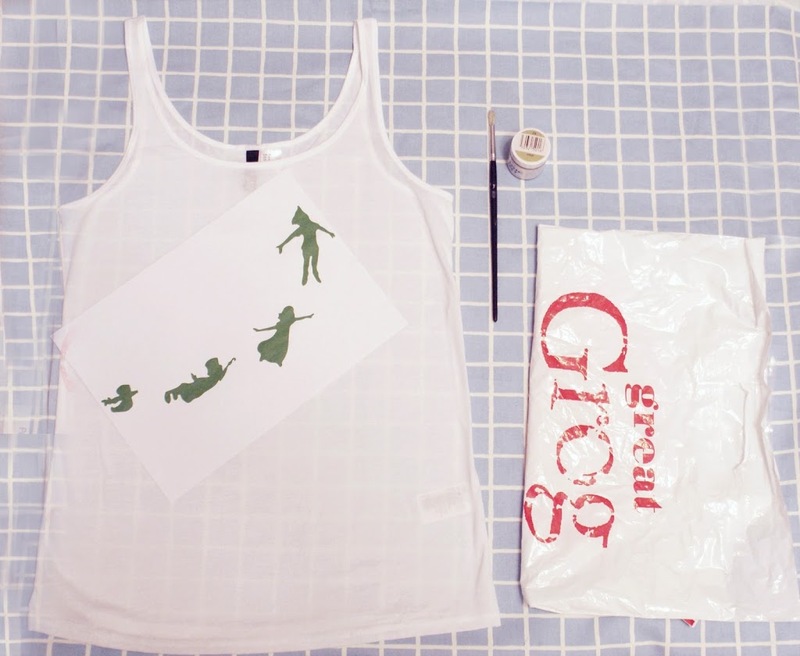 To make the stencil template, start by drawing or printing out your design onto a plain piece of paper. Do it the ‘right way round’ – we will not be flipping the design, so don’t worry about letters or anything. Next, you’ll need to get yourself a plastic carrier bag. Use one of the more sturdier kinds, like from H&M; don’t use the really thin ones from the supermarket (or the ‘bags for life’ ones!) Cut it to fit the size of the paper but no larger. 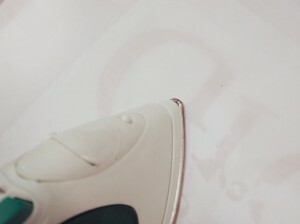 Get your ironing board out and put your stenciled paper down so the back of the paper facing you. Put your plastic bag over the top and smooth it out. If the bag has anything printed on it, lay it down it so the back is facing you too. Then, put your extra piece of fabric down on the top. Iron all the pieces together for a few minutes on a hot setting. This will melt the plastic onto the paper and onto the fabric. 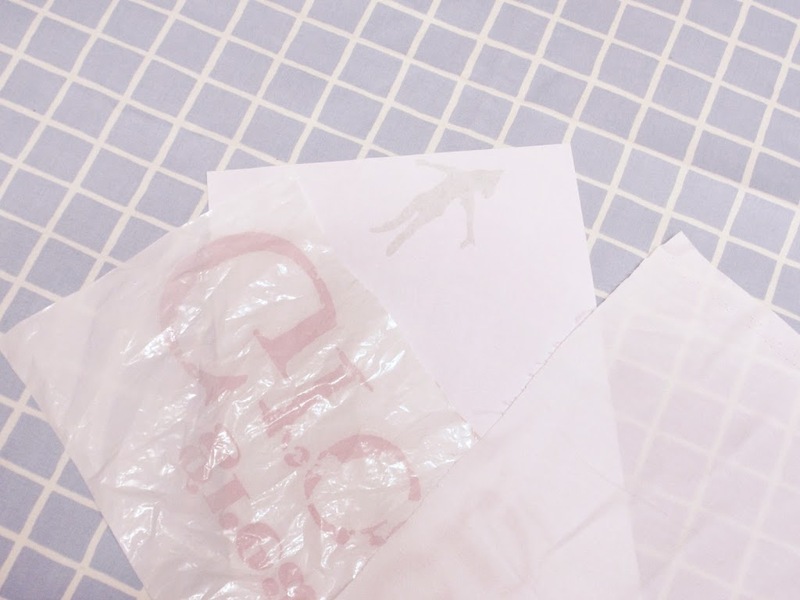 You must make sure that all your surfaces are covered with either paper or scrap fabric whilst melting the materials together, otherwise you’ll have a sticky mess everywhere! 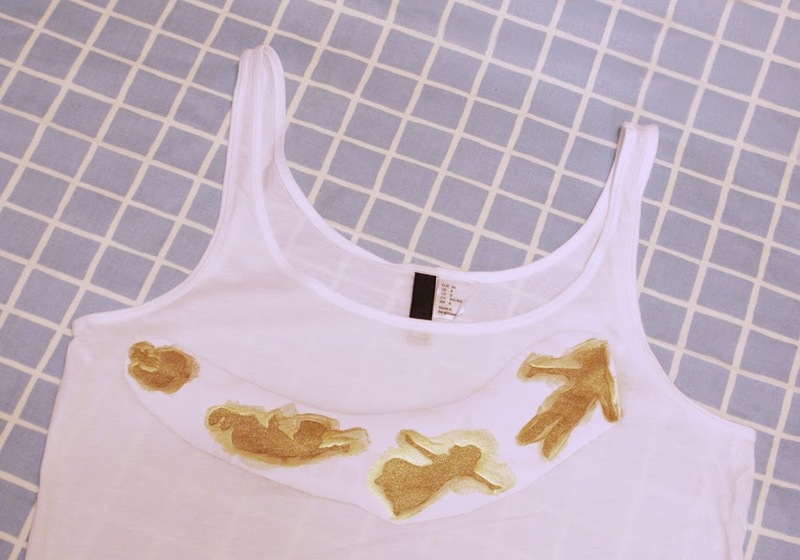 Once it’s cooled, you’ll be able to peel the fabric off and you’ll be left with some waxy paper and your design! 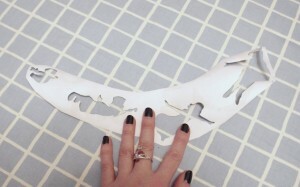 Next, cut your design out using the scalpel and cutting matt for protection. Take your time here as you want it to look great! 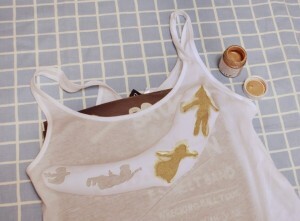 You can cut out around the whole template too, just make sure you don’t get too close to any of the edges. Place the template on top of the t-shirt so the ‘waxy’ side is facing the fabric and work out where you want it to be positioned. 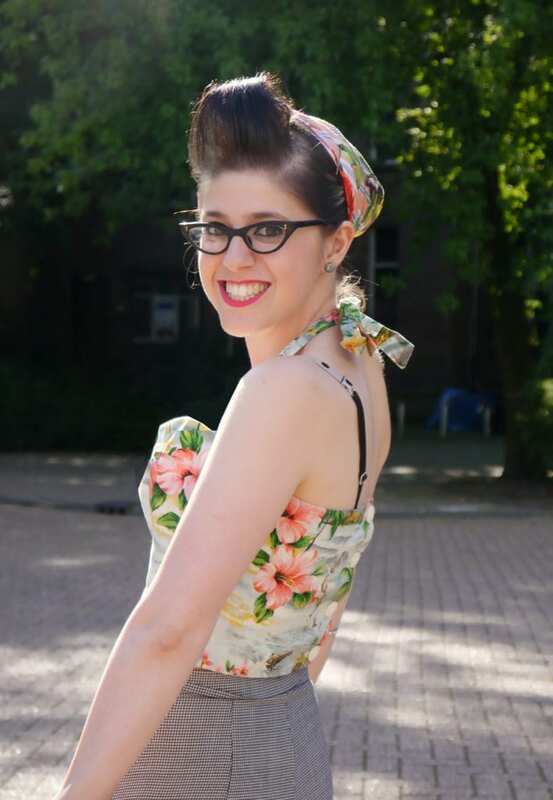 When you’re happy with it, place your scrap fabric over the top and iron for a few minutes on a hot setting. Again, the scrap fabric will protect your iron from any rogue pieces of plastic. Doesn’t it look incredible? And you used trash to make it! Brilliant! I hope you found this little diy helpful. 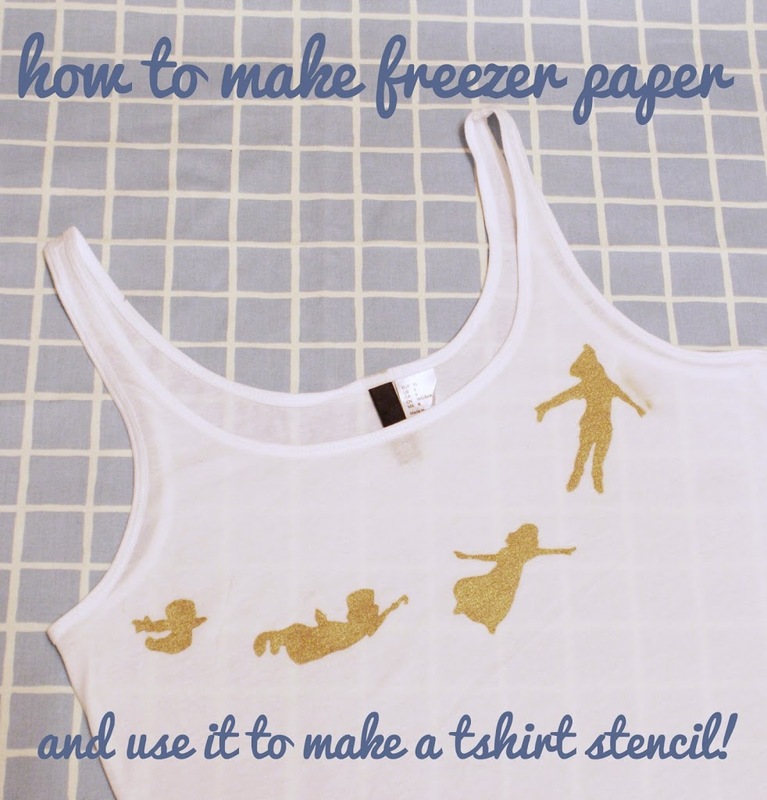 If you enjoyed learning how to make your own freezer paper, you may also enjoy making your own screen printing kit. With these two at home, I’m ready to take on the world! Wow, what a cool project! I am a bit scared to try it but hey, I can take that as a part of my getting out of my comfort zone month! Thanks Sonya! It’s actually really easy. I was a little worried myself at first, but it worked a dream 😀 Good luck with your ‘comfort zone month’ – such a great idea! Hooray! Thanks Kim! I was getting frustrated that we couldn’t get freezer paper here – I hope it comes in really handy as it will save a fortune and make good use of those bags! Happy making! Great idea. Do you have “contact paper”? That’s what I use here in the US. It comes in a roll about 18 inches wide and several yards long. It cuts with scissors and has a peel off backing and a sticky side. It’s used to cover shelves or line a drawer. 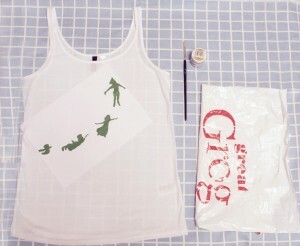 It’s great for making stencils too. Oh cool! I defo need to see if we have some of that stuff here. I’ve seen paper that is sticky that you can use to line shelves and such with, but didn’t know it was strong enough to use for stencils on fabric. Good to know there is another alternative out there 🙂 Thanks! You just made my day. AWESOMENESS. Get in! Brilliant, I’m so pleased 😀 Thanks Fizz! Enjoy! Hope that helps and have an awesome trip! This is an amazing idea as I have lots of plastic bags at home and it should be easy for me to do this! Awwww! This is one of my favorites freezer paper tutorials I have found! so creative, I love the Peter Pan theme!